I have owned 3 original XBox's for some time now. "Why three?" you may ask. Well upon the discovery of XBMC, I knew I had to have a XBox connected to every TV in the house. On top of that, with a bit of searching you could locate an original XBox on craigslist.org for 20-40 dollars. The only problem with this XBox solution today is that it is unable to stream HD (High-def) content due to hardware limitations. 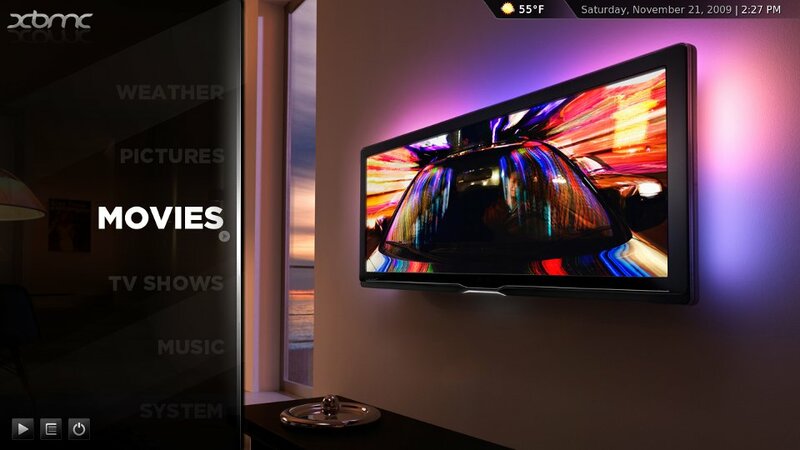 To get you up to speed, XBMC is a FREE application that you can run from a hacked original XBox that allows you to seamlessly stream video, music and photos to your TV from any network enabled PC in your house. It also allows you to launch video game emulators, various plug-ins, as well as even check the weather. In my eyes, no other media center software can compare. Now with the rising popularity of HD formatted movies, I knew I would soon need to replace at least one of my original XBox's with a machine that could handle streaming 1080p videos over the network. I had worked on many solutions in the past however the price point was simply way too high for what I needed to accomplish.....until now. With the production of the Mini-ITX computer motherboards, it is easier than ever to cram a powerful PC into small form factor computer case. Some of which now look exactly like TV set-top boxes which blend right into your TV's device cabinet. 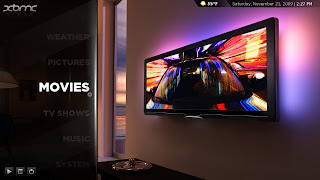 The great thing about XBMC is that it runs on Linux, Windows and Apple TV devices and of course it costs nothing! Now if you would like to see some screen shots of exactly what I am talking about, head on over to http://xbmc.org/skins/ and check out some of the available skins for XBMC. For those of you out there that own a projector type movie room and need a nice application to display your content, I think this could be the solution for you. In total my HTPC (Home Theater PC) build cost around $270 which in my eyes is not bad for a powerful small form factor PC that can dual boot with the XBMC application. Keep in mind, this is your regular PC so not only can you run the XBMC application, you can also grab a wireless keyboard and mouse to browse the web, play games and check email on your TV/Projector as well. HDMI, DVI, VGA, 1Gb NIC, Optical audio just to name a few. 2) G.SKILL 2GB (2 x 1GB) 240-Pin DDR3 SDRAM DDR3 1066 (PC3 8500) Dual Channel Kit Desktop Memory Model F3-8500CL7D-2GBNQ- This memory was also a great buy, fast and I have had zero issues with it. 3) Western Digital Scorpio Blue WD2500BEVT 250GB 5400 RPM 2.5" SATA 3.0Gb/s Internal Notebook Hard Drive -Bare Drive - I purchased this drive because it was on sale however 250GB is much more than is required for this application. This drive is also quiet, fast and has been very reliable. 4) IN WIN BQ656.AD80TBL Black Mini-ITX Tower Computer Case 80W Power Supply - This was one of the coolest mini cases I had found for the price. It is solid black with a nice glossy front and has 2 USB ports, audio jacks and the power button right on the top. I believe this item may now be discontinued however this fit all my components perfect without any problems and also leaves room for a slim line Blu-ray/DVD drive if I want to add one down the road. 5) AVS Gear HA-IR01SV Infrared Certified MCE VISTA Remote Control - Here is a remote control I purchased which after some tweaking, works 100% perfect with XBMC on Linux and Windows. The IR receiver is also so small that I was actually was able to modify it and mount it inside my HTPC case. This way I could keep everything compact and within the mini case. After building the machine which took literally 20 minutes, I jumped on over to http://xbmc.org/download/ to grab the "Live" version of XBMC to test out my new system. Once I verified that everything was operational, I simply booted the Live XBMC CD again and selected the option to install it to my hard drive. After the install was complete, I tweaked the system to my liking and now had a HD streaming machine to which I could browse family photos or even stream music to. I honestly could not be happier with this setup! A few days ago I had reconfigured the system to dual boot with the Linux version of XBMC Live and Windows 7. Now I can browse the net, check email and play games on top of all the pre-existing XBMC functionality as well. I am considering adding a nice bluetooth mini keyboard with a built-in touchpad to complete the setup. Here is a link to the solution I am considering. This will allow me to get rid of the clunky full-size keyboard and stop from having to fight with a mouse on the couch cushions. I hope this post was informative and please leave your comments below regarding any HTPC setups that you have put together. With power off, hold Ch UP and Ch Down together for 10 seconds. While still holding Ch up and down together, push power, then let go. Select OSD button, there should be a letter in the lower right hand corner of the menu. Approximately 2 months ago I had purchased the Energizer 2x Induction Charger (flat panel) for my Wii console. I loved the fact that you could simply just rest any Wii remote (that has included induction battery installed) directly on to this flat panel device and the charging begins. 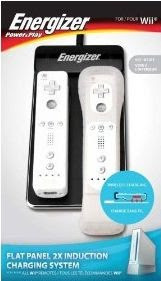 Whether you have the motion plus attachment and/or the rubber protective Wii remote cover installed, you simply lay the controller down as indicated by the product image on the box and voila. Just recently I have been experiencing what a lot of projector owners refer to as, "Dust Blobs". 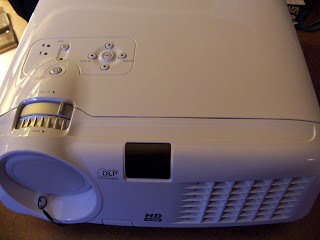 Upon researching this annoyance, I had found that there were a lot of projector owners out there who were trying to locate answers as to how to clean these suckers out of their own home projectors.